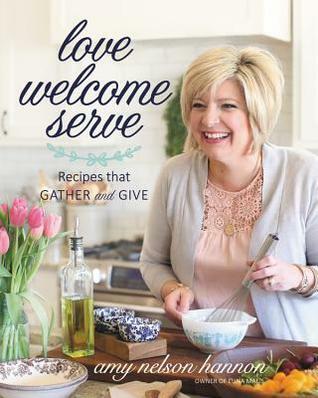 Love Welcome Serve is such a beautiful and warm cookbook. These are the kind of recipes that make you feel at home and loved. With every page turned, you can feel Amy's love for cooking and her heart for good meals with family. 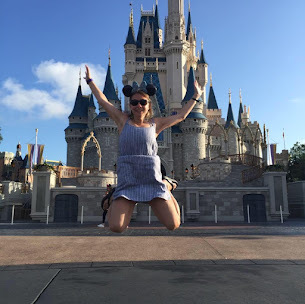 If you're just starting out cooking, not to worry, Amy gives such amazing tips on how to get started or even if you're a seasoned pro, you'll still pick up some tips and trades along the way. If you want to learn new recipes with basic tools, you've come to the right place. Get ready for seven chapters of recipes with gorgeous photos and southern charm. From sweet tea, to roasted honey balsamic Brussels sprouts, or chocolate peanut butter dream pie, this book will make your stomach growl and your grocery bill sky rocket, but you'll love this cookie book. This is the perfect gift for the cook in your life for Christmas or maybe someone who is recently engaged for a Bridal shower. The simple recipes and tips in this cookbook are amazing. I love the Southern Hospitality and charm, especially being a northerner. This book is simply beautiful, yet simple Thank you to the publisher for a copy. A favorable review was not required. I give this book 5/5 stars and highly recommend you put this on your Wish List!